As an ardent tea drinker, I will occasionally stray away from my usual selections and stumble upon a good find. Even if slightly delayed in discovery, it still feels like a first win. 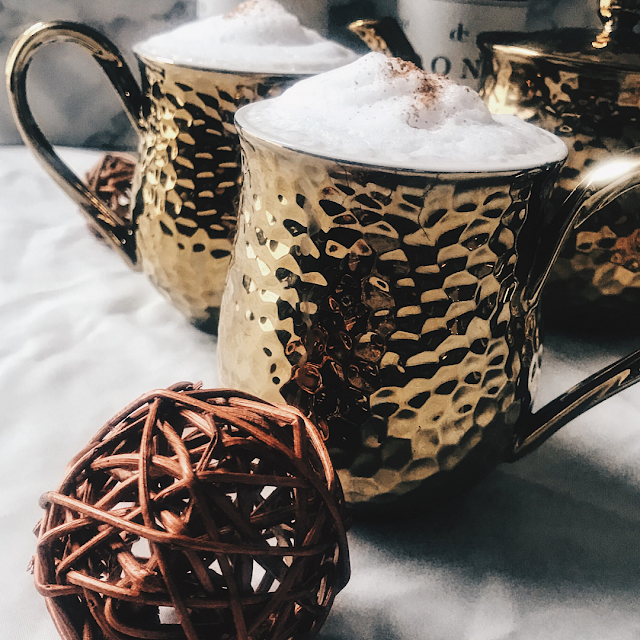 Dona Chai is one of those finds! 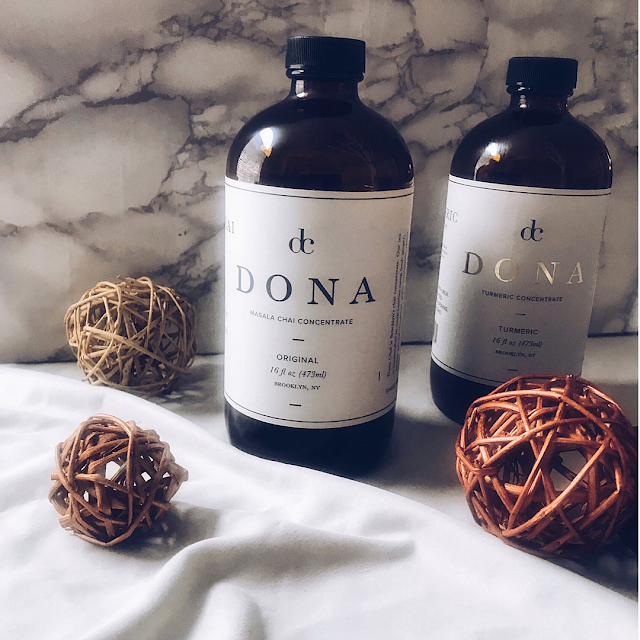 Founded by NYU alumna and entrepreneur, Amy Rothstein, Dona Chai is dedicated to preserving the quality and taste of the ginger root in producing their special concentrates, blends of tea. 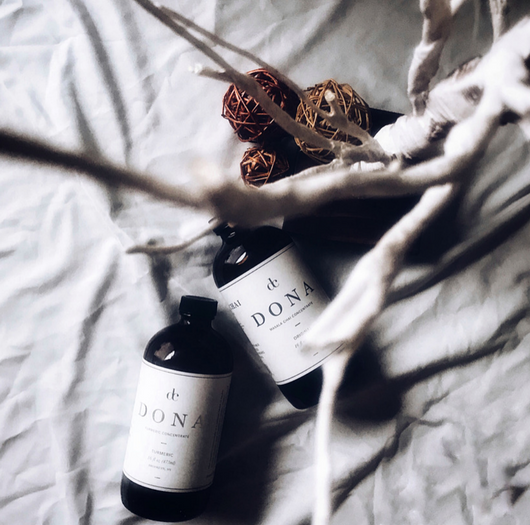 Now, a few years in, and a family-run business, Dona Chai continues to make a growing impression with their small-batch goods. 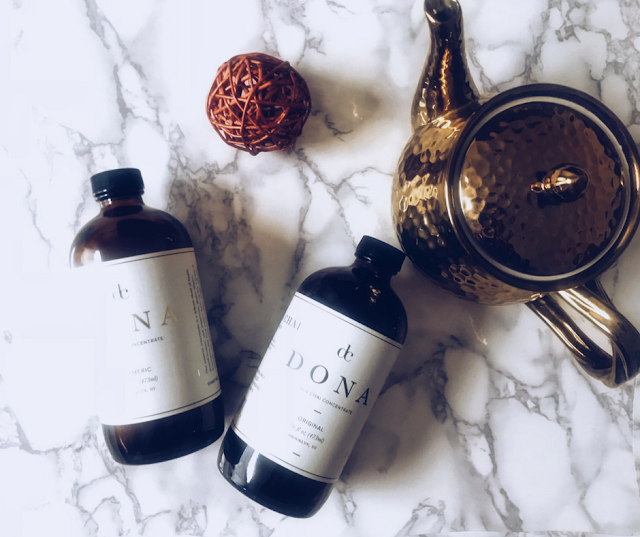 You can find Dona Chai on the shelves at Whole Foods and Anthropologie online, or if you're amongst the fortunate people who happen to live in New York City, Dona Chai is locally stocked in cafes and shops. 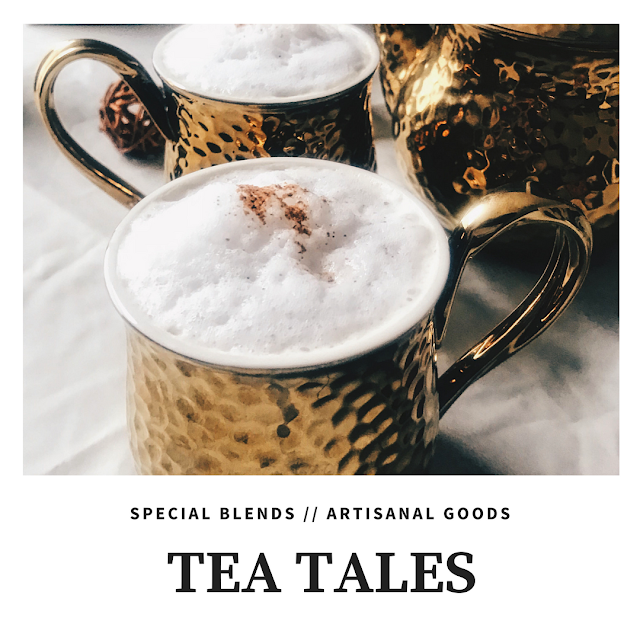 Brand offerings include turmeric, and masala chai (which simply means "spiced tea") as well as gift sets of their quality tea concentrate concocted with plenty of healthy spices—a real treat for your post-holiday palate. What's more, if you're still not on the golden milk train (and you really should be at this point) this particular turmeric concentrate is subtle enough to make you a believer. Both concentrate versions are lightly sweetened and flavourful—not too pungent. If you're a fellow creative: gastronome, baker, and so on, then you will also love experimenting beyond the teacup. Don't think of this as a traditional Indian masala chai (which we love), this is a tad less peppery, instead, just sip, sip away—soon you'll understand how this Brooklyn chai has its own way of warming up your taste buds. It's fragrant and steeped slowly with cinnamon, ginger, green cardamom, organic loose black tea leaves, and black peppercorns. I actually added a bit more cinnamon to mine because I love the taste of cinnamon and I am used to a stronger flavour! The turmeric concentrate is a fresh blend of ground turmeric, allspice, ginger, pink peppercorn, black pepper and lemongrass. This version is more of a sweeter and soothing turmeric tea and not bitter. You needn't all the time in the world to make a cuppa with these concentrates—simple to use steps at the ready—pour equal parts concentrate as milk (1:1 ratio). Don't be shy with your experimentation! Feel free to also add these in recipes, as I did. Breakfast muffins, chai ice cream, or even a spiced tea loaf will take your afternoon tea to new territory. Brooklyn bound, of course. 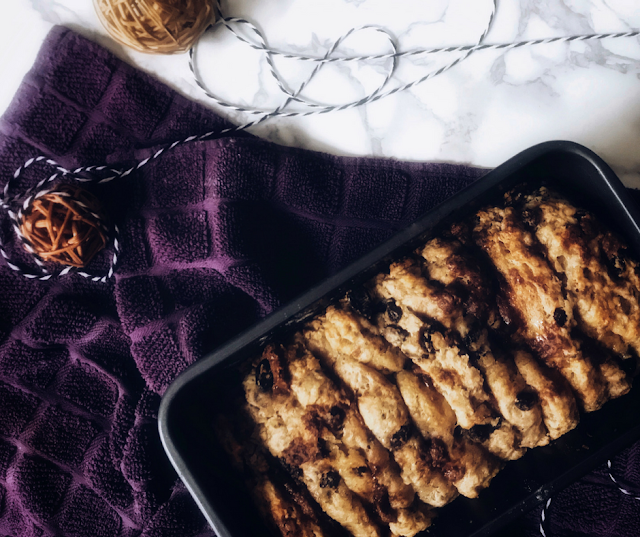 Homemade Cinnamon Chai bread, using masasla chai. 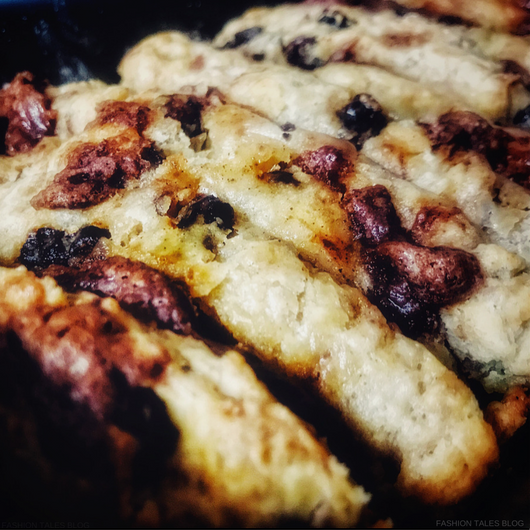 See the recipe post, coming up soon! What is your favourite type of tea? 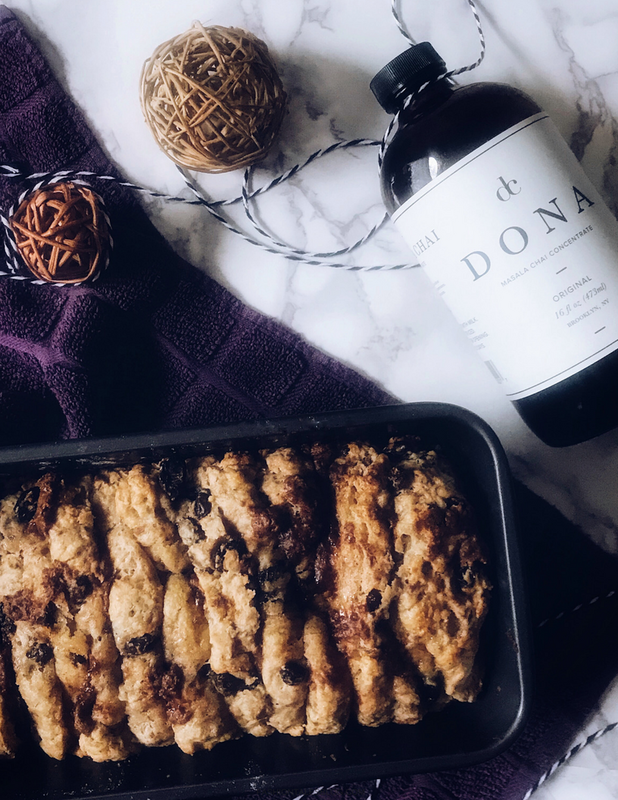 Have you tried Dona-chai?